The North East Business and Innovation Centre (BIC) continues to grow with the appointment of two new employees. Lindsay Capeling and Nicola Johnson, both from Washington, have joined the BIC as business space administrators. They will be based at the BIC’s newest centre, The Hub in Washington. 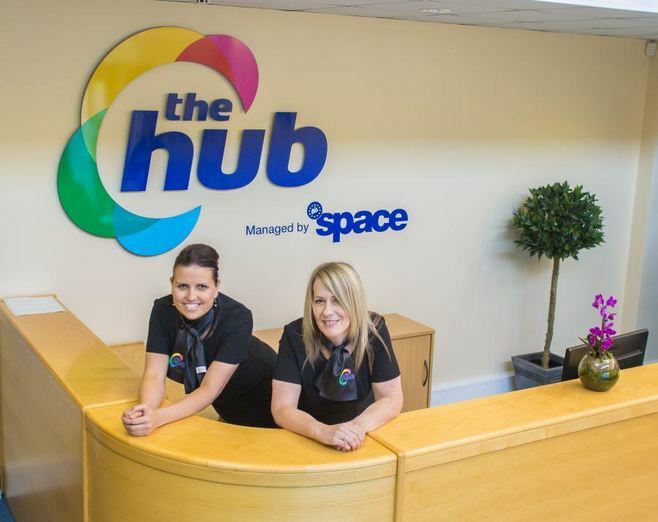 The Hub consists of 17 modern, air-conditioned offices with a provision for meeting space, and conference facilities, as well as offering help and advice to start up and established businesses. Lindsay and Nicola will facilitate bookings of the meeting rooms, giving businesses tours of the space available as well as welcoming visitors to reception. In her previous employment, Lindsay spent eight years as a receptionist in the very same building. She said: “I am delighted to be part of the BIC’s newest venture and can’t wait to welcome the new businesses as they move on site. It has been interesting to see the building develop into office space and it’s fantastic that I can be a part of it, it feels so familiar, like home from home. “The BIC is an enterprise agency and we are constantly innovating and evolving. It is testament to our staff and the service that we have provided for over 20 years that we now have locations in Darlington and Washington in addition to our headquarters here in Sunderland. To view the space available at Washington Hub, please call 0191 3385166.